I have recently watched the The Exciting Science-fiction crime caper Solo: A Star Wars Story on DVD. It was Directed by Ron Howard and produced by Lucasfilm, it is the second Star Wars anthology film following Rogue One (2016). Alden Ehrenreich stars as Han Solo alongside Woody Harrelson, Emilia Clarke, Donald Glover, Thandie Newton, Phoebe Waller-Bridge, Joonas Suotamo, and Paul Bettany. The plot takes place approximately ten years prior to the events of A New Hope. The film explores the early adventures of Han Solo as he tries to survive in the criminal underworld of the planet Corellia, where orphaned children are made to steal in order to survive by a local gang The White Worms, led by the evil Madam Proxima. Lovers Han and Qi’ra escape and bribe an Imperial officer with stolen coaxium, a powerful hyperspace fuel, in exchange for passage on an outgoing transport, but Qi’ra is apprehended And Han vows to return for her. Han joins the Imperial Navy as a flight cadet, however Three years later, Han is expelled from the Imperial Flight Academy for insubordination and is serving as an infantryman on Mimban. He encounters a group of criminals posing as Imperial soldiers led by Tobias Beckett. Han unsuccessfully attempts to blackmail them into taking him with them. Then Han encounters a imprisoned wookiee named Chewbacca and they both attempt to escape. Beckett then enlists them in the gang to steal a shipment of coaxium on Vandor-1. However the heist goes wrong when they are confronted by a vicious gang of Cloud Riders, led by Enfys Nest. Beckett reveals he was ordered to steal the shipment for Dryden Vos, a crime boss in the Crimson Dawn syndicate. Han and Chewbacca volunteer to help him steal another shipment. They travel to Vos’ yacht where Han finds Qi’ra, who has joined Crimson Dawn. Han suggests a risky plan to steal unrefined coaxium from the mines on Kessel. So Qi’ra leads the team to Lando Calrissian, an accomplished smuggler and pilot who she hopes will help them. Lando swindles Han during a card game and agrees to join the mission in exchange for a share of the profits. After reaching Kessel in the Millennium Falcon and infiltrating the mine, Lando’s droid co-pilot L3-37 instigates a slave revolt. In the confusion, they steal the coaxium, but L3 is severely damaged however L3’s navigational computer, is hotwired into the ship’s systems, and Han is able to pilot the ship through the dangerous and uncharted Kessel Run to elude an Imperial blockade. The Falcon, lands on the planet Savareen to process the coaxium however they are confronted by Enfys and the Cloud raiders who have tracked the team from Vandor, Lando then flees in the Falcon. Enfys explains to Han that she and her crew are not pirates, but rebels trying to prevent the syndicates and Empire from gaining power. Soon Han, Qi’ra, Chewbacca, Dryden Vos, Tobias Beckett, Enfys, and the Cloud Riders all find themselves involved in a deadly confrontation of double-cross and betrayal as they all try to steal the Coaxium for themselves and escape. Beckett betray’s Vos, and takes Chewbacca hostage. Qi’ra kills Vos and sends Han after Beckett while she leaves Savareen. Han and Chewbacca give the coaxium to Enfys, who makes them both a tempting offer, however Han is more interested in getting Lando Calrissian back for swindling him earlier on…. Most widely known for children’s picture books written and illustrated as Dr. Seuss, the American writer, poet, and cartoonist Theodor Seuss Geisel sadly passed away September 24, 1991. He was Born March 2, 1904 and raised in Springfield, Massachusetts, the son of Henrietta (née Seuss) and Theodor Robert Geisel. All four of his grandparents were German immigrants. His father managed the family brewery and was later appointed to supervise Springfield’s public park system by Mayor John A. Denison after the brewery closed because of Prohibition. Mulberry Street in Springfield, made famous in Dr. Seuss’ first children’s book And to Think That I Saw It on Mulberry Street, is less than a mile southwest of his boyhood home on Fairfield Street. Geisel was raised a Lutheran. He enrolled at Springfield Central High School in 1917 and graduated in 1921. He took an art class as a freshman and later became manager of the school soccer team. Geisel attended Dartmouth College, graduating in 1925. At Dartmouth, he joined the Sigma Phi Epsilon fraternity and the humor magazine Dartmouth Jack-O-Lantern, eventually rising to the rank of editor-in-chief. While at Dartmouth, he was caught drinking gin with nine friends in his room when possession and consumption of alcohol was illegal under Prohibition laws. As a result of this infraction, Dean Craven Laycock insisted that Geisel resign from all extracurricular activities, including the college humor magazine. To continue work on the Jack-O-Lantern without the administration’s knowledge, Geisel began signing his work with the pen name “Seuss”. He was encouraged in his writing by professor of rhetoric W. Benfield Pressey, whom he described as his “big inspiration for writing” at Dartmouth. Upon graduating from Dartmouth, he entered Lincoln College, Oxford, intending to earn a D.Phil. in English literature. At Oxford, he met Helen Palmer, who encouraged him to give up becoming an English teacher in favor of pursuing drawing as a career. Geisel left Oxford without earning a degree and returned to the United States in February 1927, where he immediately began submitting writings and drawings to magazines, book publishers, and advertising agencies and pitched a series of cartoons called Eminent Europeans to Life magazine. His first nationally published cartoon appeared in the July 16, 1927, issue of The Saturday Evening Post. This encouraged Geisel to move from Springfield to New York City. In 1927 Geisel accepted a job as writer and illustrator at the humor magazine Judge, and he felt financially stable enough to marry Helen. His first cartoon for Judge appeared on October 22, 1927, and the Geisels were married on November 29. Geisel’s first work signed “Dr. Seuss” was published in Judge about six months after he started working there. In early 1928, one of Geisel’s cartoons for Judge mentioned FLIT, a common bug spray at the time manufactured by Standard Oil of New Jersey. According to Geisel, the wife of an advertising executive in charge of advertising FLIT saw Geisel’s cartoon and had him signed up. Geisel’s first Flit ad appeared on May 31, 1928, and the campaign continued sporadically until 1941. The campaign’s catchphrase “Quick, Henry, the Flit!” became a part of popular culture. It spawned a song and was used as a punch line for comedians such as Fred Allen and Jack Benny. As Geisel gained notoriety for the FLIT campaign, his work was in demand and began to appear regularly in magazines such as Life, Liberty, and Vanity Fair.Geisel supported himself and his wife through the Great Depression by drawing advertising for General Electric, NBC, Standard Oil, Narragansett Brewing Company, and many other companies. In 1935, he wrote and drew a short-lived comic strip called Hejji. The increased income allowed the Geisels to move to better quarters and to socialize in higher social circles. They became friends with the wealthy family of banker Frank A. Vanderlip. They also traveled extensively: by 1936, Geisel and his wife had visited 30 countries together. They did not have children, neither kept regular office hours, and they had ample money. Geisel also felt that the traveling helped his creativity. In 1936, While returning from Europe the rhythm of the ship’s engines inspired the poem that became his first book: And to Think That I Saw It on Mulberry Street. Based on Geisel’s varied accounts, the book was rejected by between 20 and 43 publishers, However a chance encounter with an old Dartmouth classmate led to its publication by Vanguard Press. Geisel wrote four more books before the US entered World War II, including The 500 Hats of Bartholomew Cubbins in 1938, as well as The King’s Stilts and The Seven Lady Godivas in 1939, all of which were in prose, atypically for him. This was followed by Horton Hatches the Egg in 1940, in which Geisel returned to the use of poetry. Geisel gained a significant public profile through a program for motor boat lubricants produced by Standard Oil under the brand name Essomarine. He later recounted that Harry Bruno, Ted Cook, and Verne Carrier worked with him at the National Motor Boat Show on exhibits referred to as the Seuss Navy. In 1934, Geisel produced a 30-page booklet titled Secrets of the Deep which was available by mail after June. At the January boat show for 1935, visitors filled out order cards to receive Secrets. Geisel drew up a Certificate of Commission for visitors in 1936. A mock ship deck called SS Essomarine provided the scene where photos of “Admirals” were taken. That summer, Geisel released a second volume of Secrets. For the 1937 show, he sculpted Marine Muggs and designed a flag for the Seuss Navy. in 1938 Seuss wrote “Little Dramas of the Deep”, a six-act play with ten characters. According to Geisel’s sister, “He plans the whole show with scenery and action and then, standing in a realistic bridge, reels off a speech which combines advertising with humor.” For 1939, exhibitors made available the Nuzzlepuss ashtray and illustrated tide-table calendars. A Seuss Navy Luncheon was held on January 11, 1940, at the Waldorf-Astoria Hotel. At that year’s boat show, Geisel provided the Navigamarama exhibit and the Sea Lawyers Gazette. The final contribution to the Essomarine project was the mermaid Essie Neptune and her pet whale in 1941. The exhibit offered photos for a Happy Cruising passport. Geisel went on to publish 46 children’s books, often characterized by imaginative characters, rhyme, and frequent use of anapestic meter. His most celebrated books include the bestselling Green Eggs and Ham, The Cat in the Hat, The Lorax, One Fish Two Fish Red Fish Blue Fish, Horton Hatches the Egg, Horton Hears a Who!, and How the Grinch Stole Christmas!. Numerous adaptations of his work have been created, including 11 television specials, four feature films, a Broadway musical and four television series. He won theLewis Carroll Shelf Award in 1958 for Horton Hatches the Egg and again in 1961 for And to Think That I Saw It on Mulberry Street. Best known as the drummer for The Verve, the Musician Peter Salisbury was born 24 September 1971. He co-founded the Verve in 1989 in Wigan with lead vocalist Richard Ashcroft, guitarist Nick McCabe, bass guitarist Simon Jones and drummer Peter Salisbury. The guitarist and keyboard player Simon Tong later became a member. Beginning with a psychedelic sound indebted to shoegazing and space rock, by the mid-1990s the band had released several EPs and three albums. It also endured name and line-up changes, breakups, health problems, drug abuse and various lawsuits. Filter referred to them as “one of the tightest knit, yet ultimately volatile bands in history”. 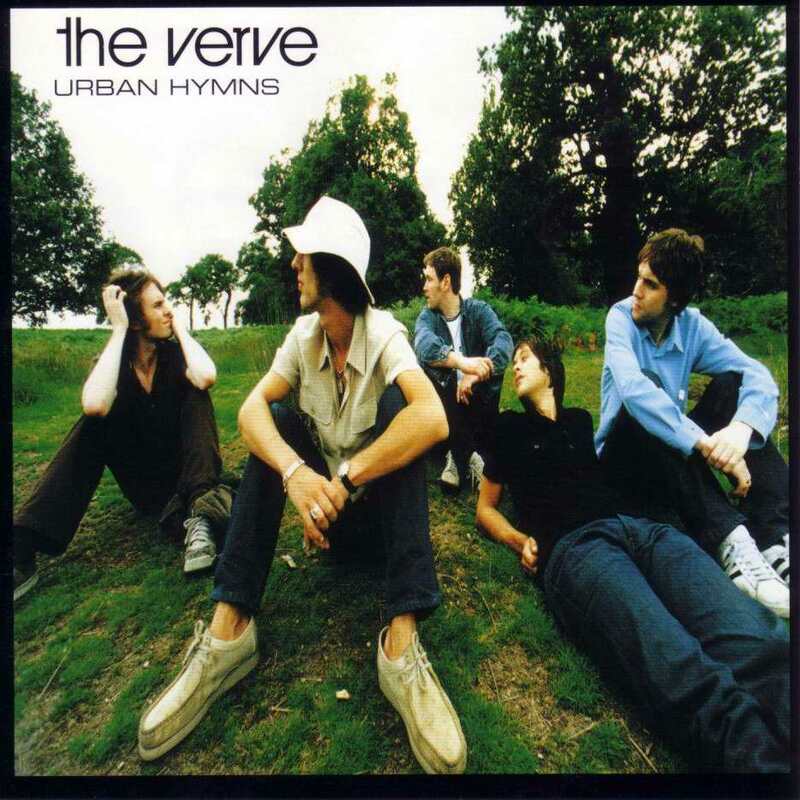 However The Verve eventually did reunite in June, 2007 for a new tour and a future album. Pete is believed to have been the one behind getting the ball rolling in terms of reuniting the band. After Ashcroft learned that Salisbury, was in contact with the former guitarist, Nick McCabe, over a possible side project, Ashcroft used this as an excuse to call McCabe. Ashcroft made peace with him and bassist Simon Jones and the band reformed. In a band interview with the NME in 2007, Salisbury mentioned that the problems between them weren’t that bad in the first place. After the band’s demise in 1999, Salisbury played with various bands including Black Rebel Motorcycle Club. He filled in on a UK/EU tour in 2002 when their original drummer Nick Jago could not get a working visa for BRMC’s British gigs. Salisbury owns and runs a drum shop, “Drummin”, in Stockport, England. He played drums on the first three of Richard Ashcroft’s solo albums and this was his most notable musical contribution away from The Verve. In October 2010, he played drums on The Charlatans UK tour while their regular drummer Jon Brookes was undergoing treatment for a brain tumour. Brookes sadly died in late 2012, and Salisbury has continued to work as The Charlatans drummer since then, though he has not been made a full member of the band. As of 2013, Salisbury has continued to support Richard Ashcroft’s live performances. After graduating from high school, Henson enrolled at the University of Maryland, College Park, as a studio arts major. A puppetry class offered in the applied arts department introduced him to the craft and textiles courses in the College of Home Economics, and he graduated in 1960 with a B.S. in home economics. As a freshman, he was asked to create Sam and Friends, a 5-minute puppet show for WRC-TV. The characters on Sam and Friends were forerunners of the Muppets, and the show included a prototype of Henson’s most famous character: Kermit the Frog. Henson remained at WRC for seven years from 1954 to 1961. He began experimenting with techniques which improved puppetry, such as using the frame defined by the camera shot to allow the puppeteer to work from off-screen. To give his puppets “life and sensitivity,” Henson began making characters from flexible, fabric-covered foam rubber, making them more expressive. Henson also used rods instead of string to move his Muppets’ arms, allowing greater control of expression and to enable his muppet characters to “speak” more creatively than was possible for previous puppets, Henson used precise mouth movements to match the dialogue. Henson asked fellow University of Maryland sophomore Jane Nebel (whom he later married) to assist him on Sam and Friends Which became a financial success. After Graduating from college Henson visited Europe where he was inspired by European puppeteers who look on their work as an art form. Henson also contributed to Saturday Night Live, but eventually found success when In 1969, Joan Ganz Cooney and the team at the Children’s Television Workshop asked him to work on Sesame Street, Which featured a series of funny, colourful puppet characters living on the titular street, including Grover, Oscar the Grouch, Bert and Ernie, Cookie Monster and Big Bird. Henson performed the characters of Ernie, game-show host Guy Smile, and Kermit the Frog, the roving television news reporter.At first, Henson’s Muppets appeared separately from the realistic segments on the Street, but the two were gradually integrated and The success of Sesame Street allowed Henson to stop producing commercials. However Henson convinced British impresario Lew Grade to finance the Muppet show which featured Kermit the Frog as host, and a variety of other memorable characters, notably Miss Piggy, Gonzo the Great, Scooter, Animal, the Swedish Chef, Bunsen Honeydew and Fozzie Bear. The creative team moved to England and began working on the Muppets. Jim Henson was himself the performer for several well known characters, including Kermit the Frog, Rowlf the Dog, Dr. Teeth, the Swedish Chef,Waldorf, Link Hogthrob, and Guy Smiley. In 1977, Henson produced a one-hour television adaptation of the Russell Hoban story Emmet Otter’s Jug-Band Christmas and Three years after the start of The Muppet Show, the Muppets appeared in their first theatrical feature film The Muppet Movie, which was a critical and financial success; and A song from the movie, “The Rainbow Connection”, sung by Henson as Kermit, hit number 25 on the Billboard Hot 100 and was nominated for an Academy Award. A sequel, The Great Muppet Caper, followed in 1981 and Henson decided to end the still-popular Muppet Show to concentrate on making films, however the Muppet characters occasionally appeared in made-for-TV-movies and television specials. 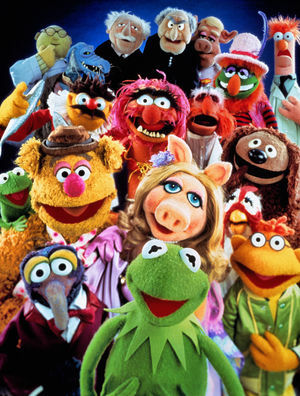 Recently The Muppets appeared in a Walt Disney Movie in 2012 alongside Amy Adams and remain popular. During production of his later projects, Henson began to experience flu like symptoms. On May 4, 1990, Henson made one of his last television appearances on The Arsenio Hall Show, Feeling tired and having a sore throat, Henson traveled to Ahoskie, North Carolina, for a family visit And consulted a physician in North Carolina before returning to to New York. At 2 am on May 15, Henson started having trouble breathing and began coughing up blood. But delayed visiting the hospital for two hours until he finally agreed to go to New York Hospital, By which time he could not breathe on his own anymore due to abscesses in his lungs and was placed on a mechanical ventilator to help him breathe, but his condition deteriorated rapidly into septic shock, until sadly On the morning of May 16, 1990, Henson died at the age of 53 at New York Hospital. Henson’s death was covered as a significant news story, occurring on the same day as the death of Sammy Davis Jr. The official cause of death was first reported as a Bacterial Infection caused byStreptococcus pneumoniae, Henson’s actual cause of death, however, was organ failure resulting from Streptococcus pyogenes, a severe Group A streptococcal infection. A public memorial service was conducted in New York City On May 21, at the Cathedral of St. John the Divine. Another one was conducted on July 2 at St. Paul’s Cathedral in London. As per Henson’s wishes, no one in attendance wore black, and The Dirty Dozen Brass Band finished the service by performing “When the Saints Go Marching In”. Harry Belafonte also sang “Turn the World Around,” a song he had debuted on The Muppet Show, Big Bird, performed by Caroll Spinney, also sang Kermit the Frog’s signature song, “Bein’ Green”. six of the core Muppet performers—Dave Goelz, Frank Oz, Kevin Clash, Steve Whitmire, Jerry Nelson and Richard Hunt—also sang, in their characters’ voices, a medley of Jim Henson’s favorite songs, eventually ending with a growing number of performers singing “Just One Person” which was recreated for the 1990 television special The Muppets Celebrate Jim Henson and inspired screenwriter Richard Curtis, who attended the London service, to write the growing-orchestra wedding scene in the 2003 film Love Actually. American novellist Francis Scott Key Fitzgerald was born September 24, 1896 in Saint Paul, Minnesota, to an uper-middle-class family, Fitzgerald was named after his famous second cousin, three times removed, Francis Scott Key, but was referred to as “Scott.” He was also named after his deceased sister, Louise Scott. Fitzgerald spent he first decade of his childhood in Buffalo, New York and Syracuse, New York between 1901 and 1903). Fitzgerald attended two Catholic schools on the West Side of Buffalo, first Holy Angels Convent and n Nardin Academy. Fitzgerald was intelligent with an interest in literature, his doting mother ensuring that her son had all the advantages. Fitzgerald attended Holy Angels for only half a day—and was allowed to choose which half. In 1908, the family returned to Minnesota, where Fitzgerald attended St. Paul Academy, St. Paul from 1908 to 1911. When he was 13 he published a detective story in the school newspaper. In 1911, when Fitzgerald was 15 years old, his parents sent him to the Newman School, a prestigious Catholic prep school in Hackensack, New Jersey. There he met Father Sigourney Fay, who encouraged him to pursue his literary ambitions. After graduating in 1913, Fitzgerald attended Princeton University, New Jersey, where he befriended future critics and writers Edmund Wilson and John Peale Bishop and wrote for the Princeton Triangle Club, the Nassau Lit, and the Princeton Tiger And the American Whig-Cliosophic Society, which ran the Nassau Lit and the Universty Cottage club The Princeton Triangle was a kind of musical-comedy society. In 1917 Fitzgerald dropped out of school to join the U.S. Army. Afraid that he might die in World War I with his literary dreams unfulfilled, Fitzgerald hastily wrote a novel called The Romantic Egotist. the reviewer noted its originality and encouraged Fitzgerald to submit more work in the future. During the 1920’s Fitzgerald travelled to Paris and the French Riviera, befriending many members of the American expatriate community in Paris, notably Ernest Hemingway. Fitzgerald supplemented his income by writing short stories for such magazines as The Saturday Evening Post, Collier’s Weekly, and Esquire, and sold his stories and novels to Hollywood studios.